Do you like to watch the sea and hear the crash of the waves? Rent a villa with sea views! Renowned for having relaxing and invigorating virtues, the sea will offer you a dream holiday in Ibiza. In the morning, enjoy spectacular views from the comfort of your villa. 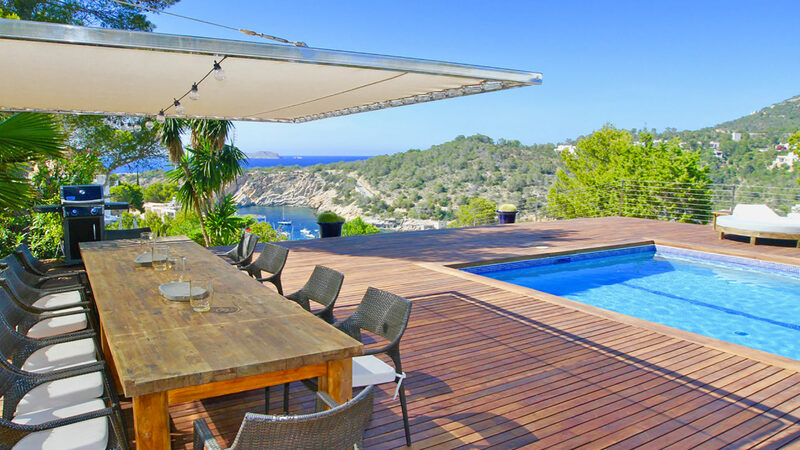 Do not wait and fall for our villas overlooking the sea in Ibiza! 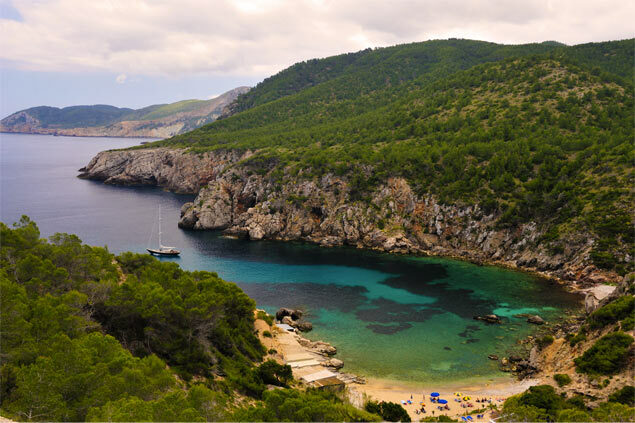 With its 210 km of coastline, Ibiza is undoubtedly the destination you need if you want to enjoy the sea. Bordered by the Mediterranean Sea, the White Isle offers travellers paradise beaches with fine sands and crystal clear water. In order to offer you a holiday escape, renting a villa with sea view is the solution! In the morning, let yourself be rocked by the lapping waves. 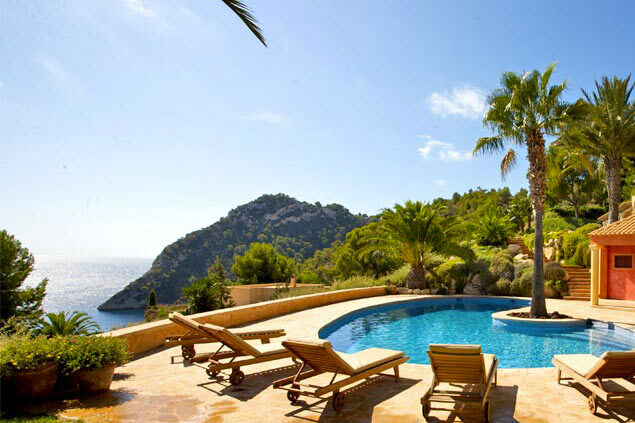 In the spring or summer, head to the beach or to the edge of your private pool for sunbathing. In the evening, enjoy a beautiful sunset on the beach from the comfort of your villa. With our villas offering spectacular views of the sea, you will spend an unforgettable holiday with family or friends on the island of Ibiza! Renting a villa with a sea view offers a continuous show: between the breaking waves, yachts and fishing boats, you can admire unique views of the world from the comfort of your villa from morning to night. Our villas with a sea view offer direct access to the beach for sunbathing. They also have private pools, heated or overflowing, for a stay in privacy. 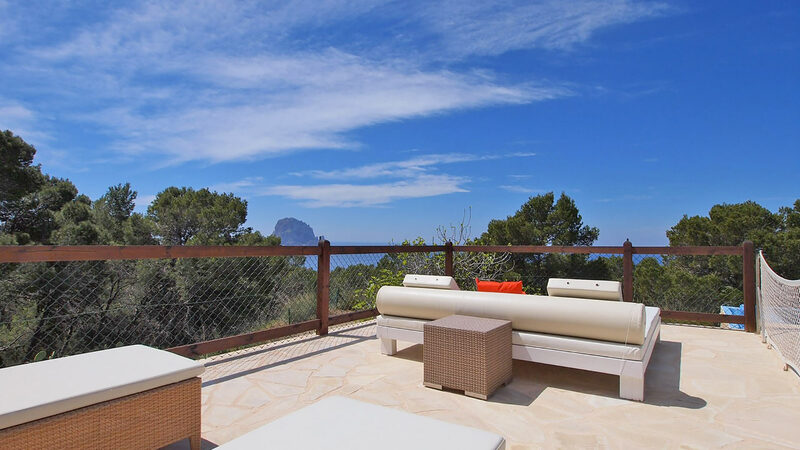 With a partial view of the sea or just by the beach, our villas with sea views will undoubtedly make you fall for Ibiza! 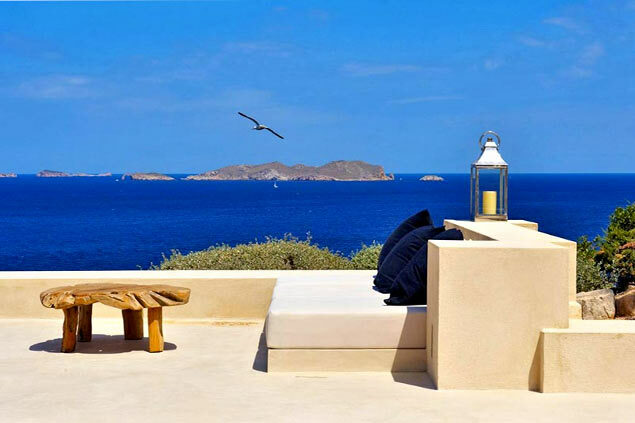 Between white sand and turquoise waters, you will delight your eyes from the comfort of your villa with our selection of properties overlooking the sea in Ibiza.